ShiftMatch fills the holes in your roster by instantly matching staff to vacancies, giving you back time while delivering the most cost effective, qualified staff to their preferred work times. We believe in our product and hold ourselves to the highest standards. We care about your staffing needs, which is why we offer the best support directly with our key personnel. One of the main reasons ShiftMatch is as good as it is today is because of feedback from our users. ShiftMatch constantly offers free updates with new features requested by our users. You can count on us. How can ShiftMatch help in my industry? No matter where you are, if you have a smartphone or tablet with an internet connection through wifi or cellular you can easily manage when and where you want to work. There’s no special app to download, ShiftMatch just works on all mobile devices. The workforce is changing as more people work jobs that don’t fit the traditional 8 to 5 model. Businesses increasingly use part-time and casual employees to bolster productivity and competitiveness. Workers are opting for flexibility in their lifestyle with balancing either, family, study or other activities. 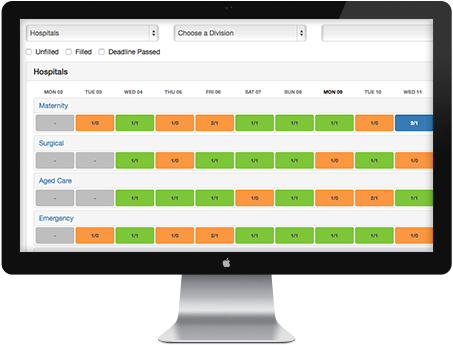 ShiftMatch is an essential management tool to ensure you fill your shifts with the right worker. 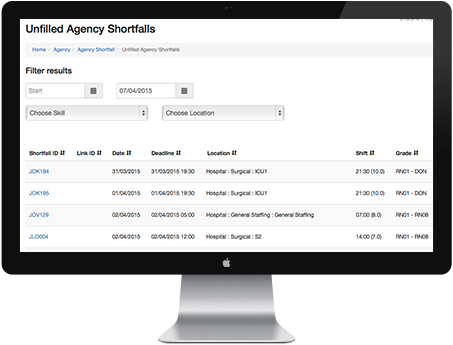 The staff roster will allow a staff allocator or manager to see across the whole organisation and pinpoint where the staffing shortages are while ShiftMatch is still automatically filling the other vacancies. 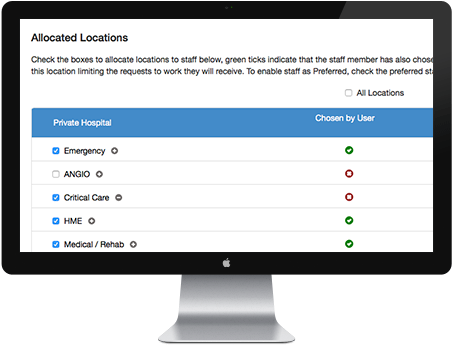 Manage where staff can and can’t work by allocating them locations. Staff can opt-out of any location if they don’t want to work there but they can’t add locations themselves ensuring better governance and compliance . 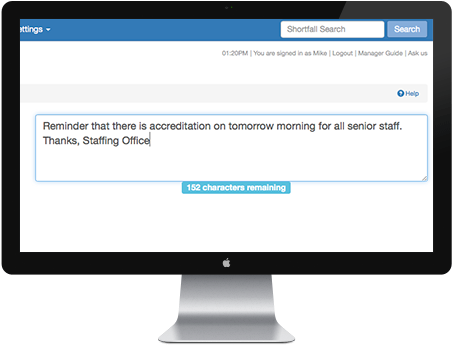 In addition to the smart logic generating messages to match the right staff to a vacancy, ShiftMatch can let you manually broadcast important information messages out via email or SMS to your staff. 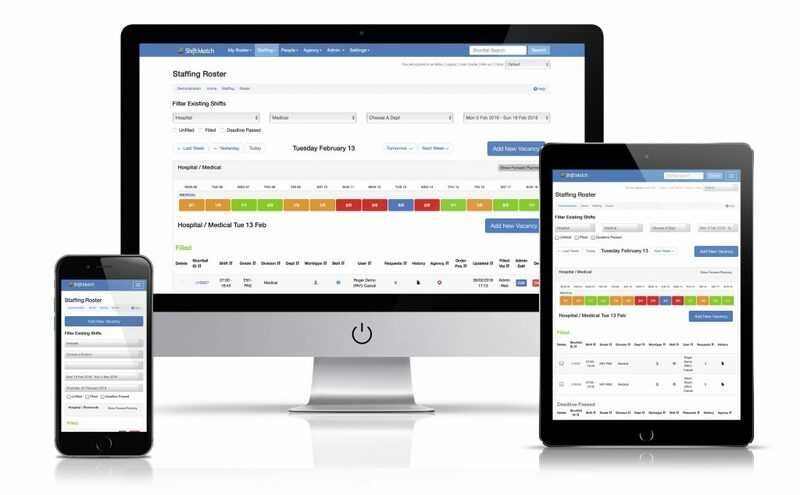 ShiftMatch includes a suite of industry standard API’s to allow other third party system to connect such as Rostering, Time & Attendance, Payroll, Data Warehousing, or Staffing Agency Allocation systems. I already have a scheduling/rostering system – why do I need ShiftMatch? 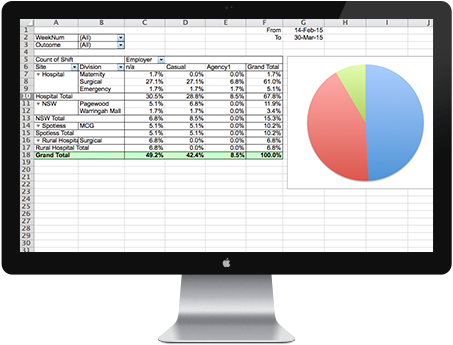 Does ShiftMatch integrate to our other workforce software? Staff retention typically improves after ShiftMatch is implemented because your workers feel more valued. Staff have greater control over their work/life balance able to pick up as much or as little work as they require and only get notified about the shifts they want. We are dedicated to our users. 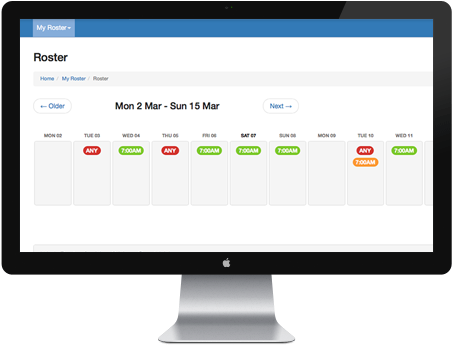 When you use ShiftMatch, you’re using software that has been designed by its users and with over 170,000 users and counting, that’s a lot of functionality we’ve added to make the task of managing vacant shifts so much easier. Check out what our users are saying about ShiftMatch! ShiftMatch provides great benefits to managers and staff – especially with time savings.